June 3, 2016 at 3:50 PM: A three car crash has been reported on Hwy 99 at Hwy 120 in Manteca. The fast lane is blocked. Two CHP are en route to the scene. CCWD (Calaveras County Water District) will hold a Board meeting on June 8, 2016 at 9 AM in the boardroom on Toma Court in San Andreas. Surprisingly, not on the agenda is the brown water problem at Rancho Calaveras. 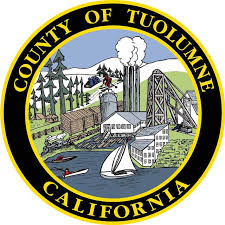 At the June 7, 2016 Tuolumne County Board of Supervisors meeting they will approve putting out to bid a road project for the jail and transit worth well over $3,300,000. UPDATE: The Fire Department has cleared the roadway. Murphys Sanitary District will meet on June 9, 2016 at 10 AM in their office on Ernest Street in Murphys. Rates and the rate setting procedure are on the agenda. The crews are hopeful, since they have been working on the sinkhole 24 hours a day, to have northbound I-5 opened by midnight tonight. Southbound is not scheduled to reopen until some time on Sunday, June 5, 2016. Be cautious of phone SCAMS! On June 2, 2016 a resident on Wren Court in Valley Springs reported a Grand Theft due to a telephone SCAM. Be vigilant. Never give your credit card number or other information over the phone. There are so many crooks out there. On June 2, 2016 a burglary was reported on Foothill Ct. in San Andreas. 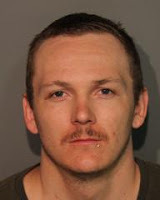 The Calaveras Sheriff took a report of the break-in. On June 2, 2016 a resident on Stagecoach Drive in Copperopolis reported their car had been vandalized. It was determined that the damage had been done by....animals. It wasn't indicated what animals were involved. On June 2, 2016 a rabbit was reported to the Calaveras Sheriff as stolen on McAtee Drive in Valley Springs. Later the rabbit was discovered to have been a runaway, was found and returned to his pen. UPDATE: The fire was extinguished by the first engine on scene. June 3, 2016 at 10:05 AM: A three car head-on crash has been reported on Hwy 4 near Roberts Road in Stockton. An ambulance is responding due to serious injuries to at least one person. Vehicles have major front end damage. A tow truck has been dispatched. Avoid the area if possible. June 3, 2016 at 7:55 AM: A motorcycle collision was reported to the Sutter Amador Hospital by an injured person who came into the emergency room for help. The collision apparently occurred somewhere on Climax Road. CHP has been notified and is investigating.